Ramped up the adjusters and the free travel disappeared. Good - well not altogether. The ratchet tang (pawl) on the adjuster on the OS had a bit broken off (fell to the ground) so adjustment could creep the other way. Plundered an old usable one and all sorted now. Thanks everyone for the help and advice - appreciated as ever. 1) Stiff or seized hand brake cables. Hand-brake lever (7) on trailing shoe does not come to a rest at its "stop peg". 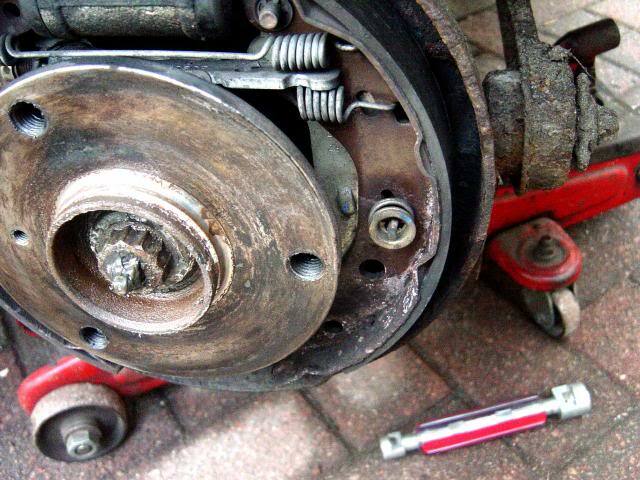 This upsets the auto adjuster mechanism leading to excessive air gap between shoes and drum. 3) Incorrecly fitted springs and drum brake auto adjuster. The Bosch Simplex auto adjuster mechanism is preset with a rather large air gap. 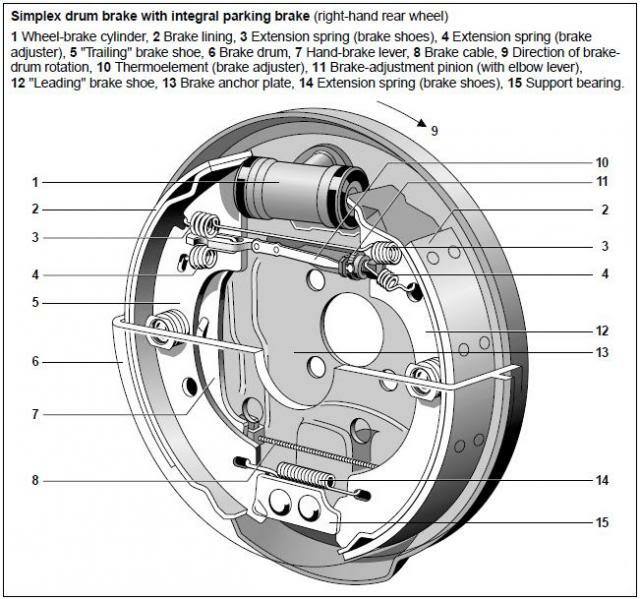 Brake pedal has to travel a considerable distance just to move shoes the required distance until they make contact with drum. Pedal travel can be improved by manually turning the brake-adjustment pinion (11) a maximum of 12 clicks but no more. Warning: Don't turn too high or it will be difficult to remove drum and shoes will drag. About 8 clicks is about right if the adjuster is working as intended and there is not too much run out in drums. Left hand side brake assembly with seized hand brake cable. Stop peg does not come to a rest against web of trailing shoe. Right hand side Bosch Simplex drum brake assembly as fitted on a Smart 450. Right hand side Bosch Simplex automatic brake adjuster. 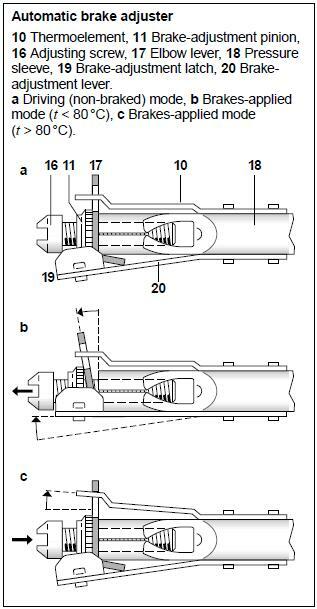 Note that the threads on the adjuster screw (16) are drawn incorrectly in the line drawing. Right hand side automatic brake adjuster has left handed threads whilst left hand side automatic brake adjuster has right handed threads. Depress brake pedal a wee bit and hold in position with a suitable wooden stick or similar. Do this whilst drum is off on the side you are adjusting. Take care not to depress brake pedal too much or cylinder pistons will pop out. Depressing brake pedal a wee bit takes the compressive force off the brake-adjustment pinion so it can be turned by hand. Last edited by tolsen; 25-04-2018 at 01:27 PM. 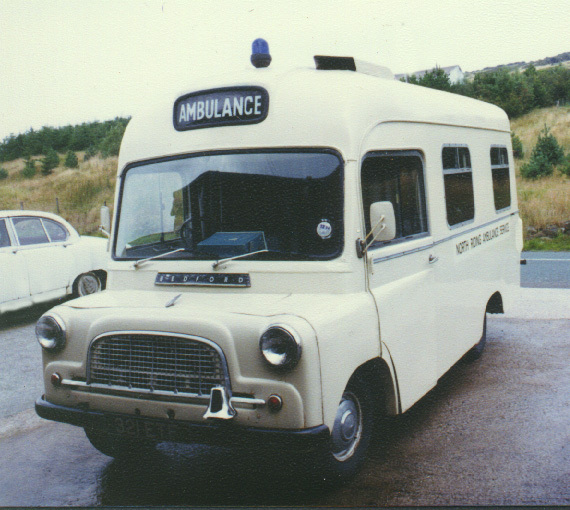 I did the brakes on this yesterday in order to MOT it. Believe me when I say your problems are not real ones. 160kg each side on the MOT rollers today. Job done! How many people does it take to mend the handbrake on a Smart Car?